=";#Enter Choice #1;#Enter Choice #2;#Enter Choice #3;#"
Which would return Enter Choice #2 in this example. Which would return TRUE if there is a second item, or FALSE if there is not. 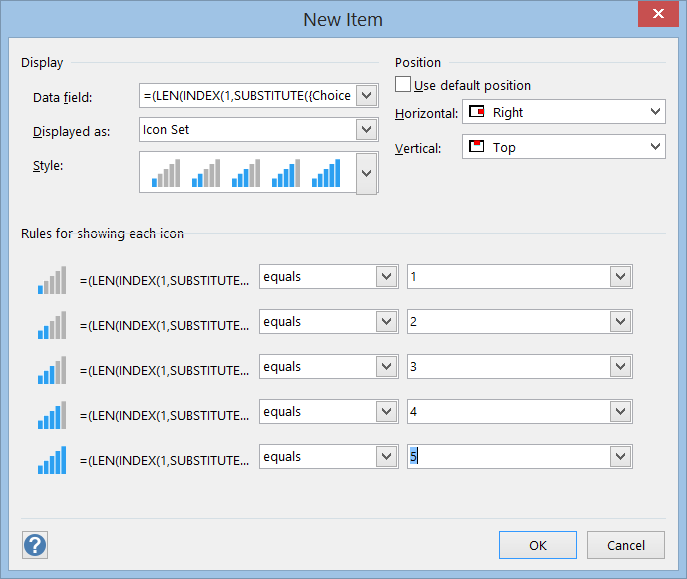 With these functions, you can control the display of text or sub-shapes, or even the presence of hyperlinks. I would normally advocate pre-creating the Shape Data rows, and any other cells that refer to values in them, in a master shape before using Link Shapes to Data. 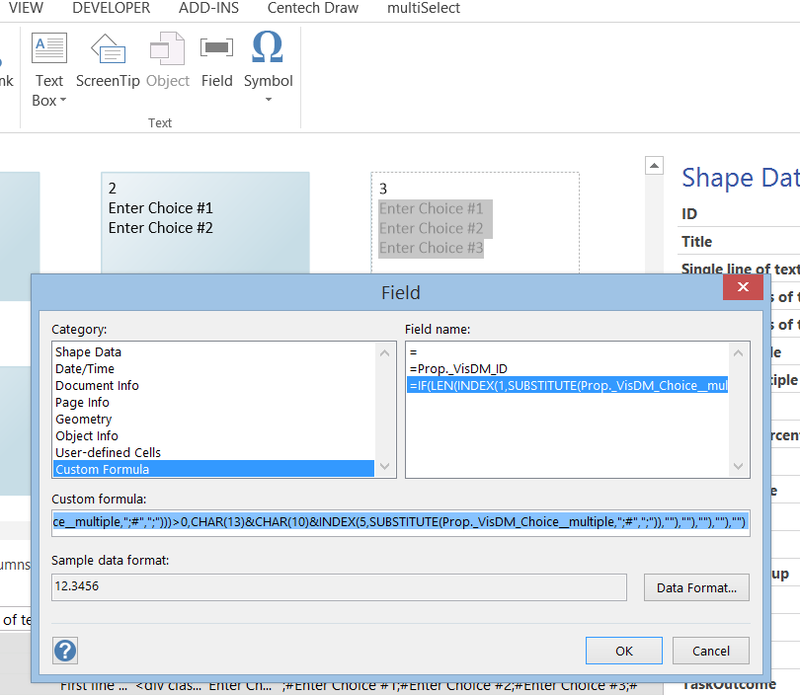 This would ensure consistency and efficiency, and would make your shapes automatically re-configurable with data refresh using Visio Services. 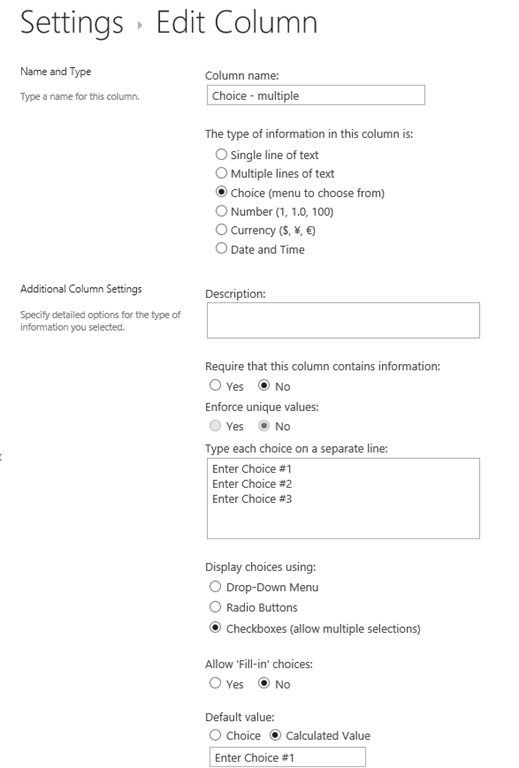 In the following example, I have shown 5 instances of the Multi Choice master, with each linked to a different row from a SharePoint list.